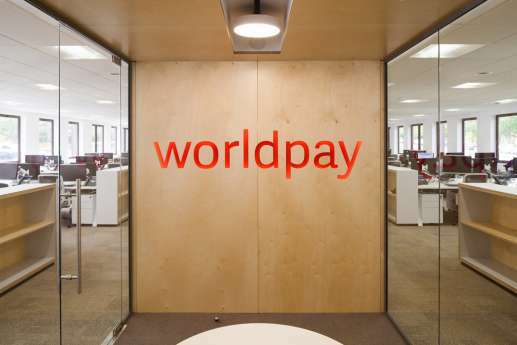 Rapidly expanding online payment processing organisation, Worldpay, appointed us to design and complete Cat B refurbishment of their Mayflower House offices, in Gateshead. 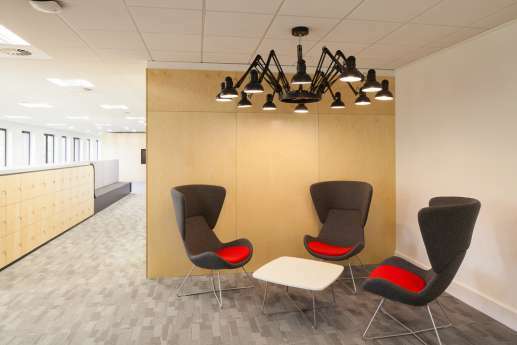 Worldpay occupy the ground and half of the first floor of a multi tenanted office building. 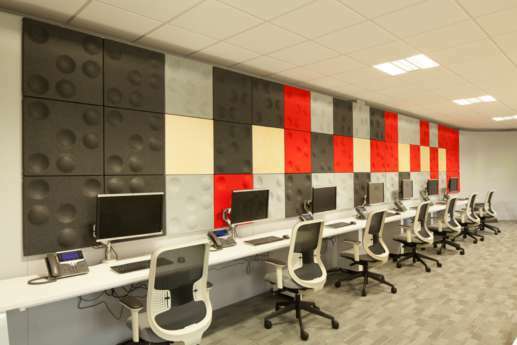 Our challenge was to complete the project with minimum disruption. 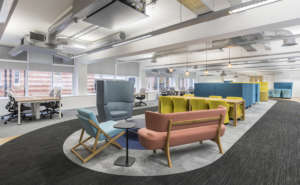 We achieved this by working with the building manager and Worldpay to create new open plan working areas, break out spaces, print hubs, training suites and meeting rooms. 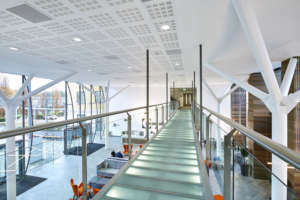 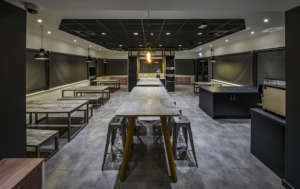 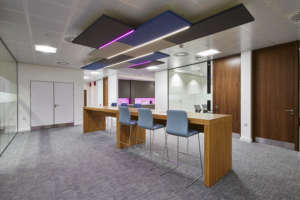 The project also included full decoration, new floor coverings, new glazed partitions, including feature curved glass in some areas, ceiling works, and an M&E upgrade to fit with the new design. 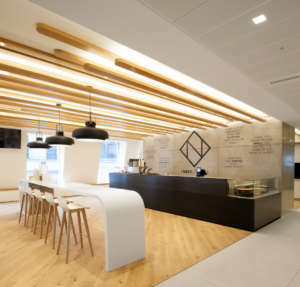 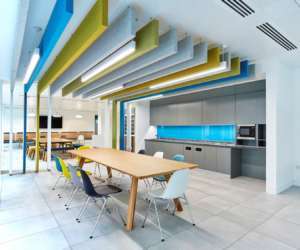 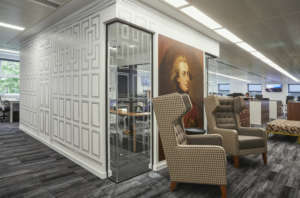 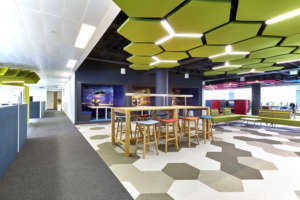 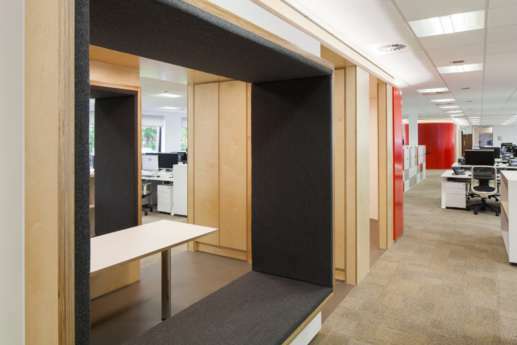 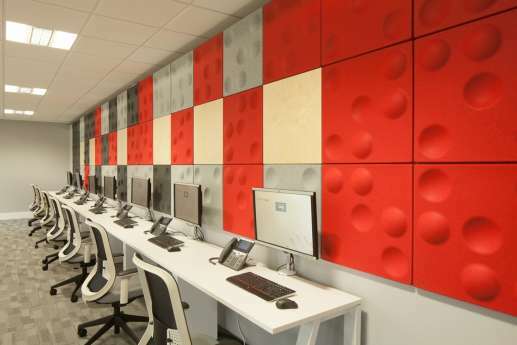 We also designed and installed a number of bespoke joinery items, including meeting pods, and supplied new furniture to create a modern, flexible space which embraces and reflects Worldpay’s business culture.